Professional Mini Spa Brush with a blend of nylon ballpoint and 100% boar hair bristles. The unique structure of the boar hair bristles carries the hair’s natural oils from the scalp to the end of the hair shaft. 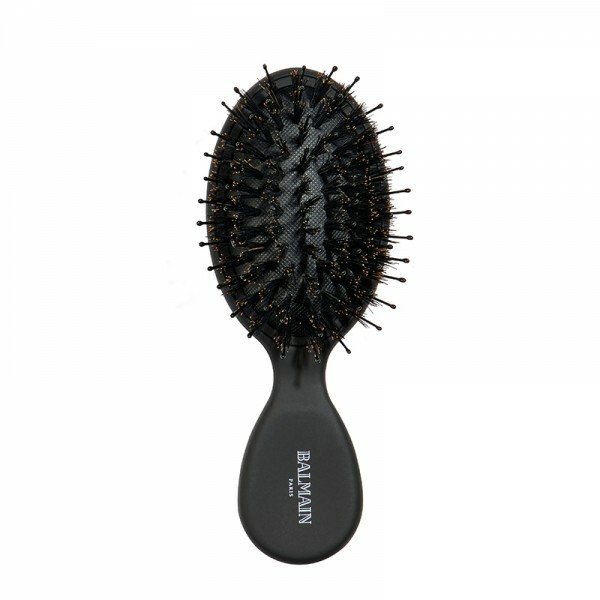 By coating each strand with a very small amount of sebum, the brush repairs dry hair, reduces frizz and adds lustrous shine, while the stiff nylon ball-point bristles massage the scalp, increase the blood circulation and detangle the hair.